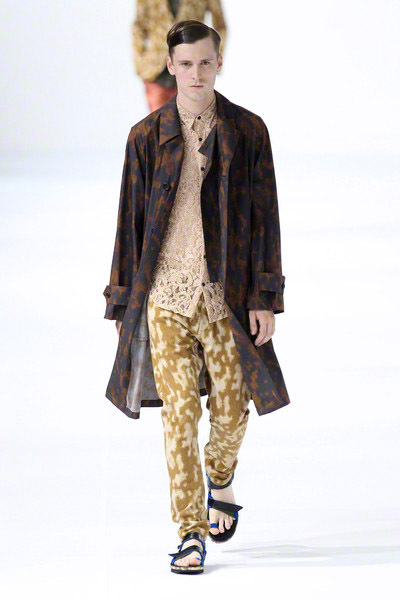 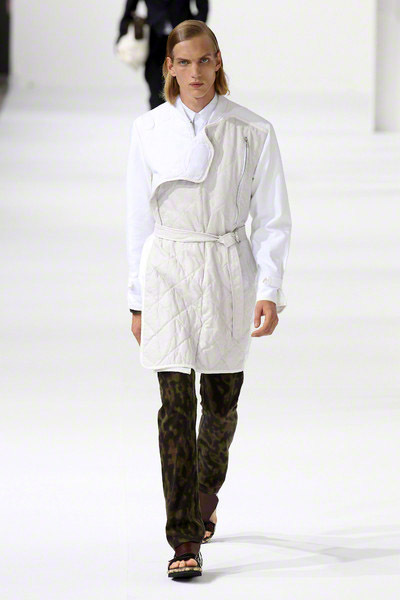 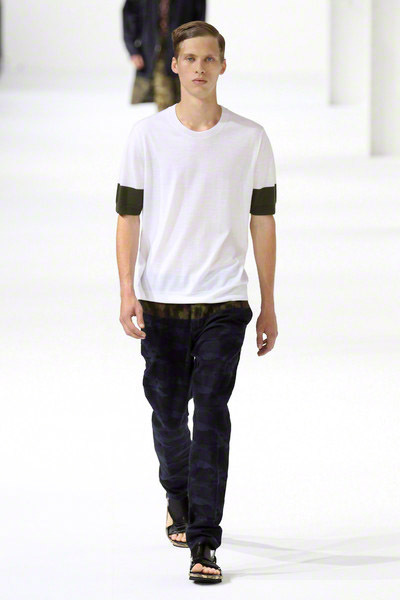 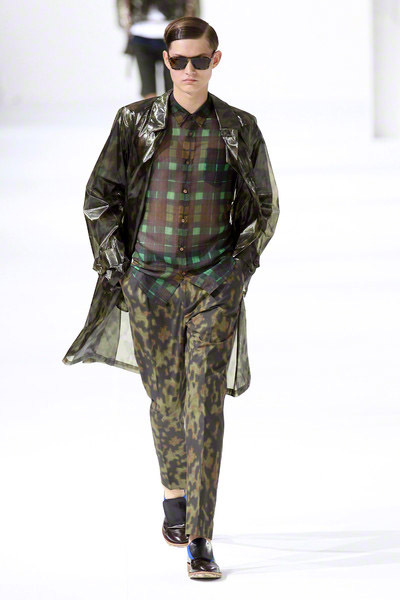 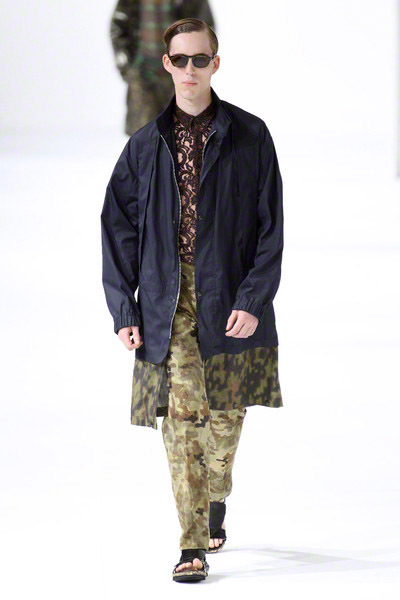 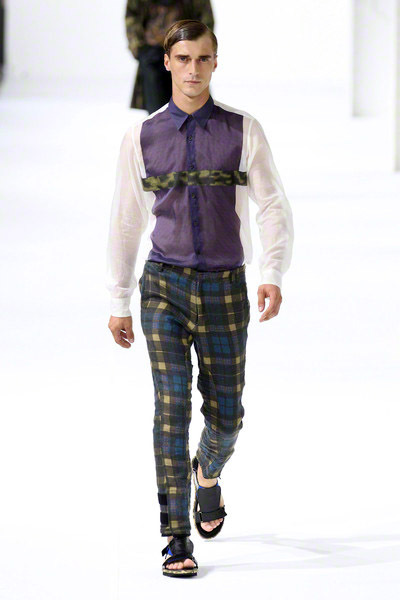 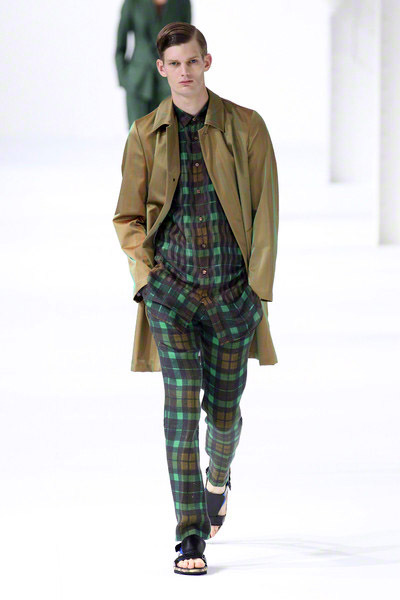 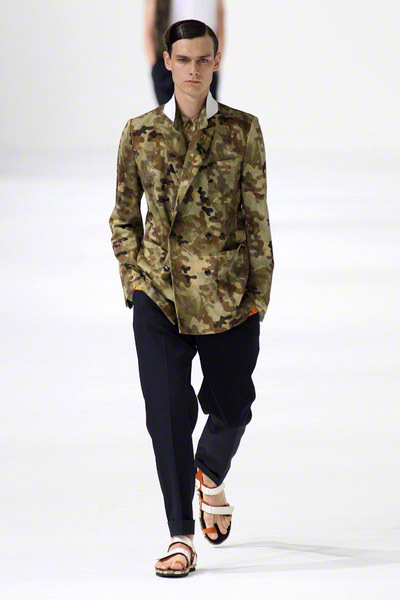 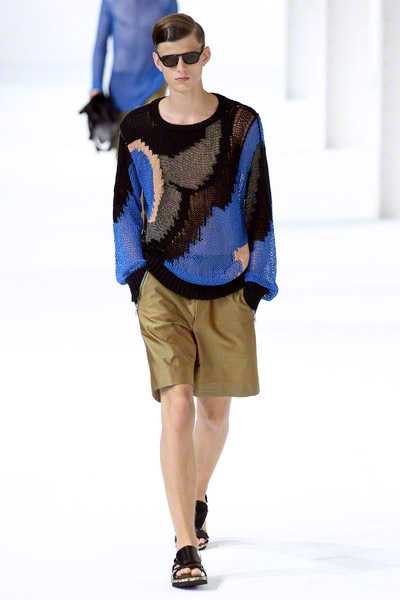 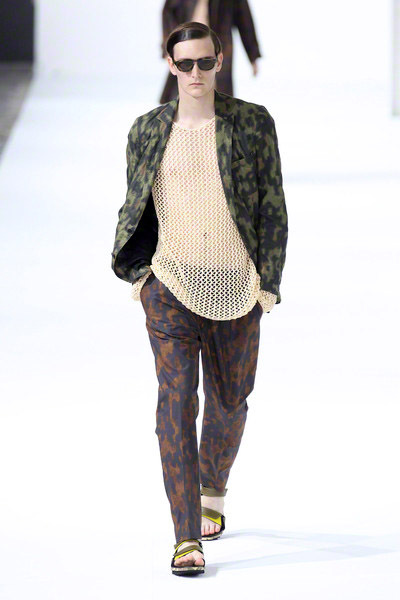 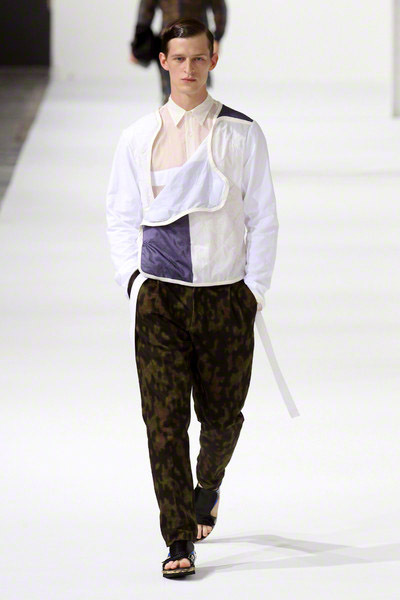 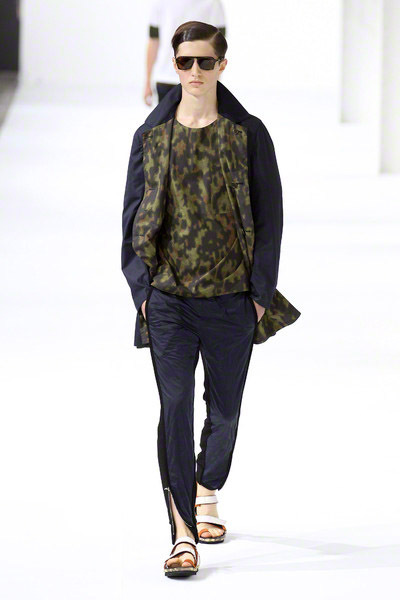 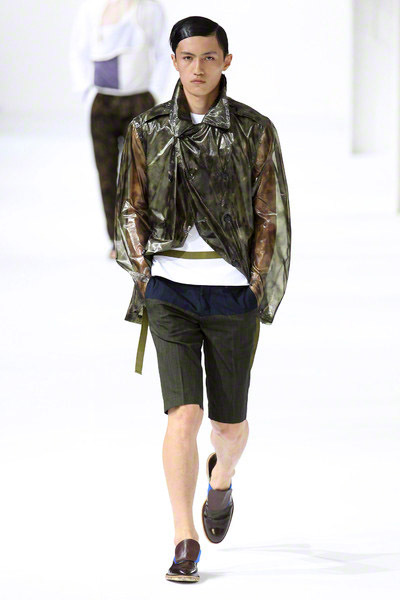 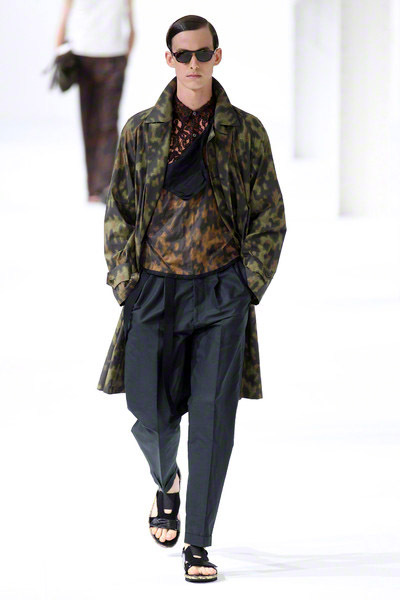 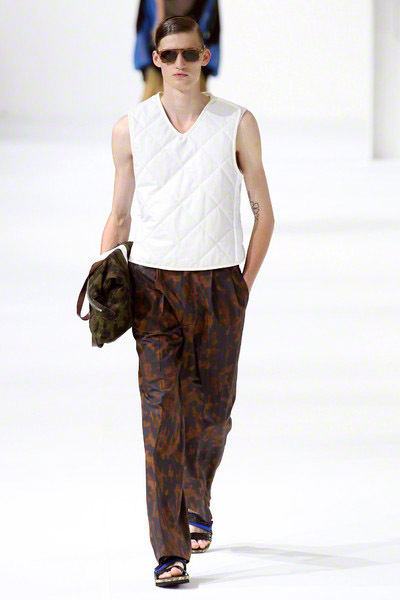 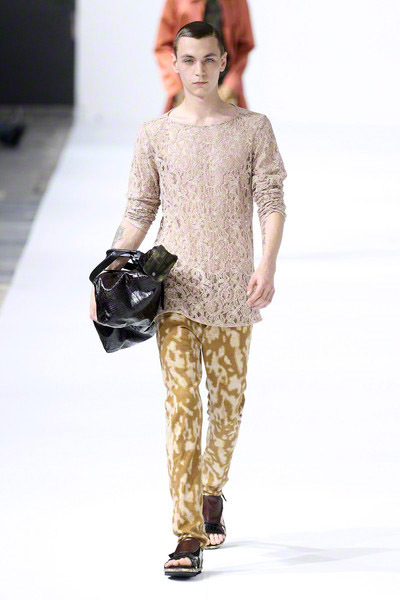 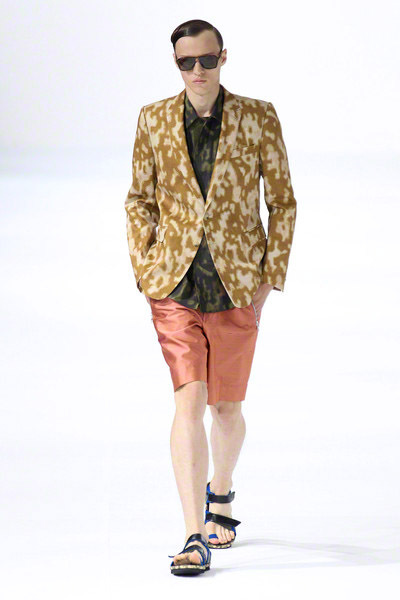 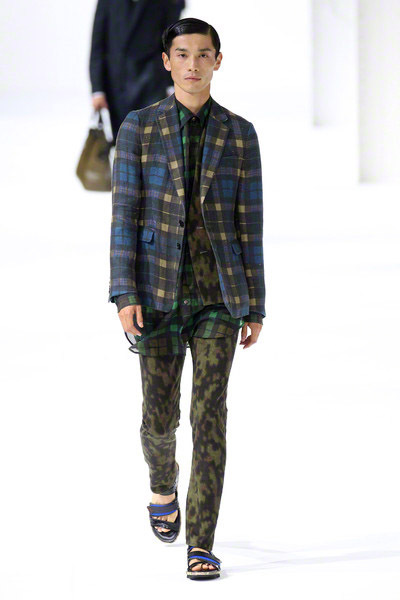 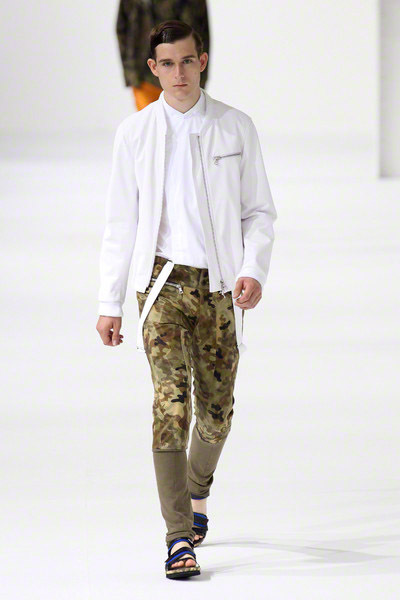 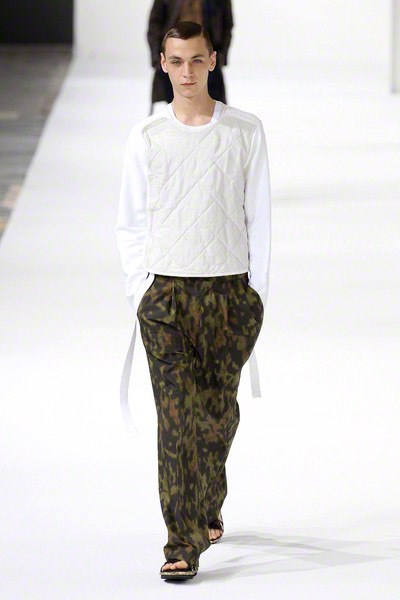 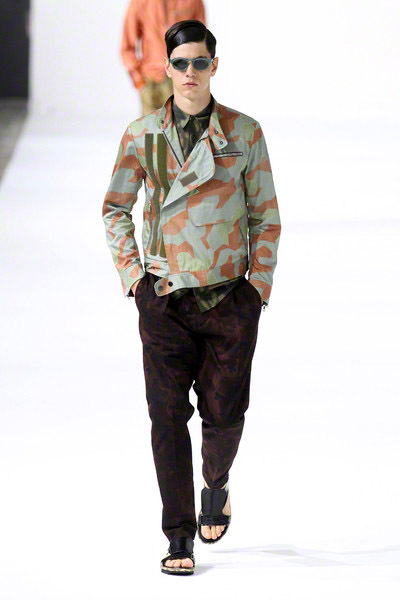 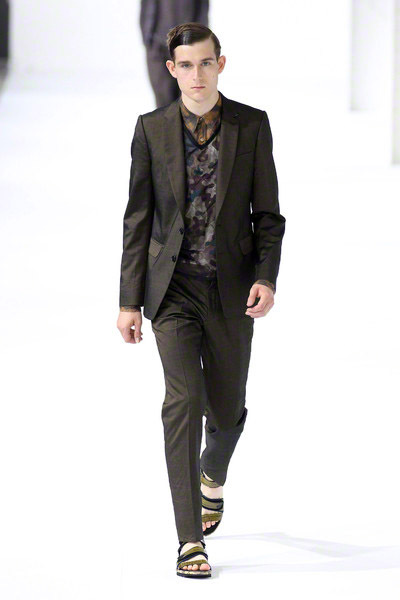 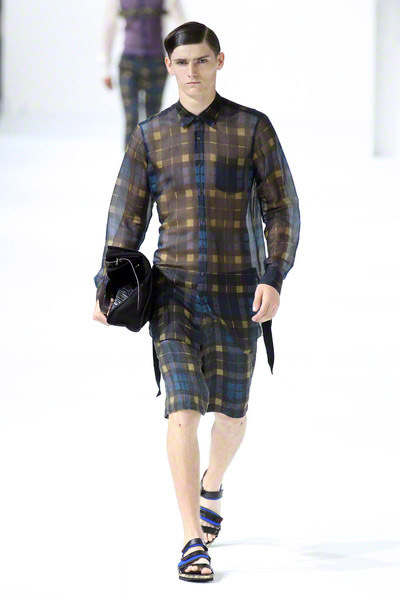 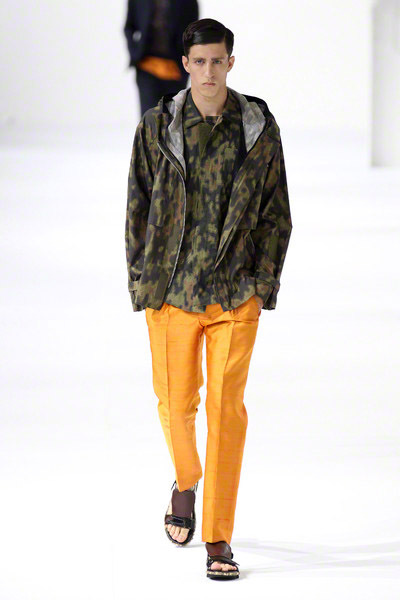 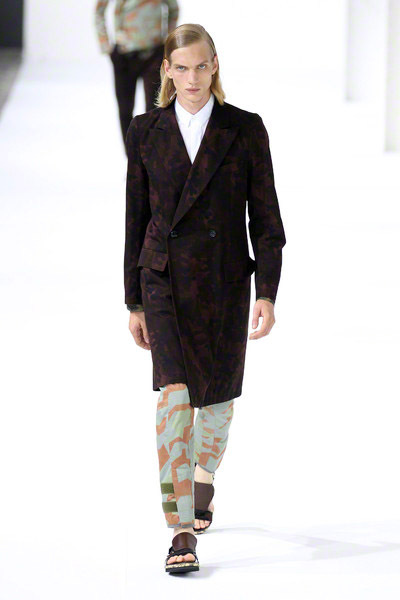 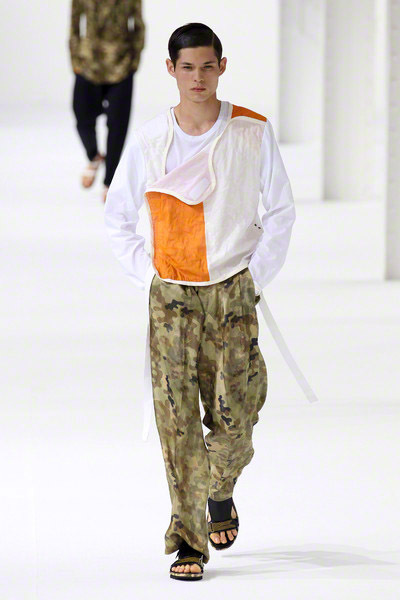 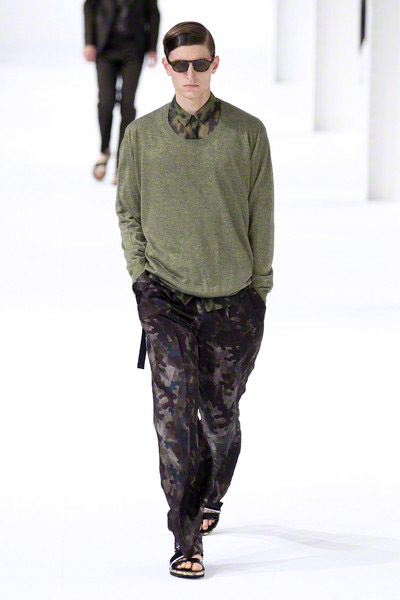 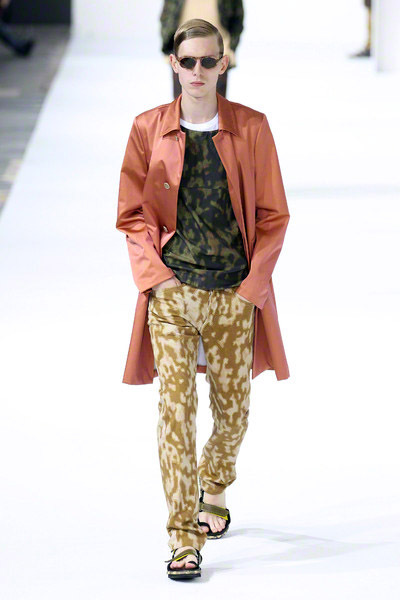 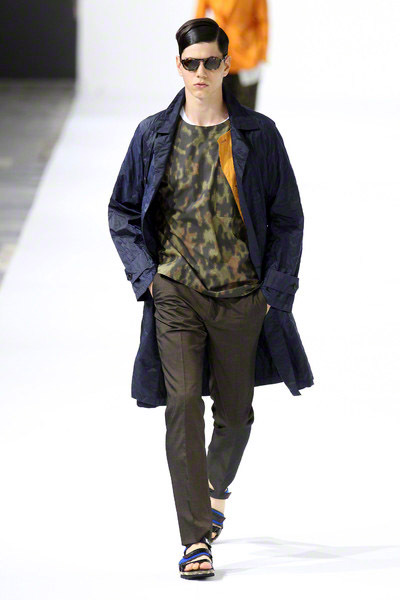 It was all about camouflage-prints at Dries Van Noten. 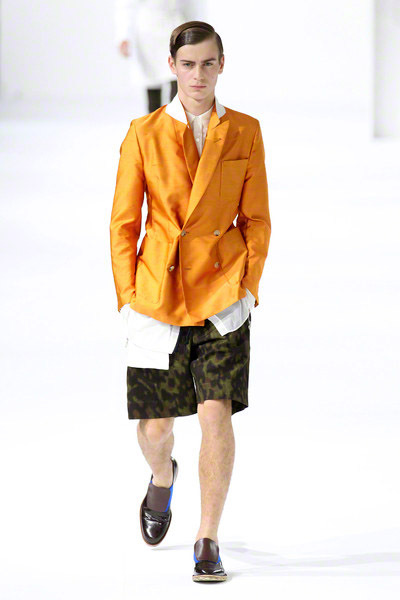 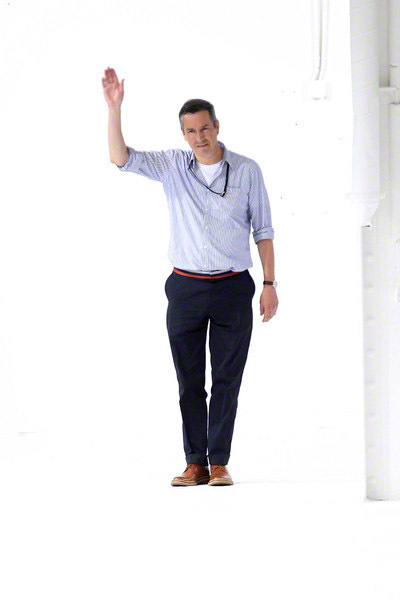 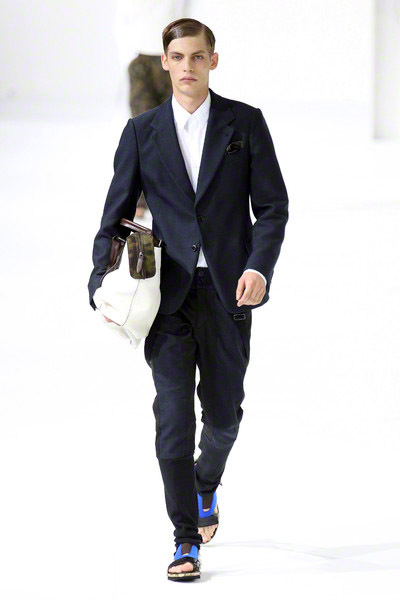 He carved them into tailored jackets and crisp Bermudas. 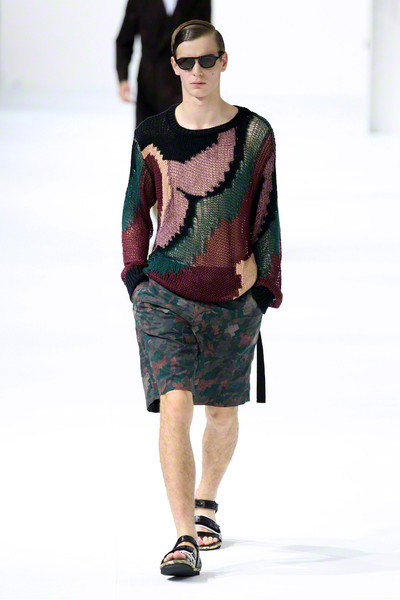 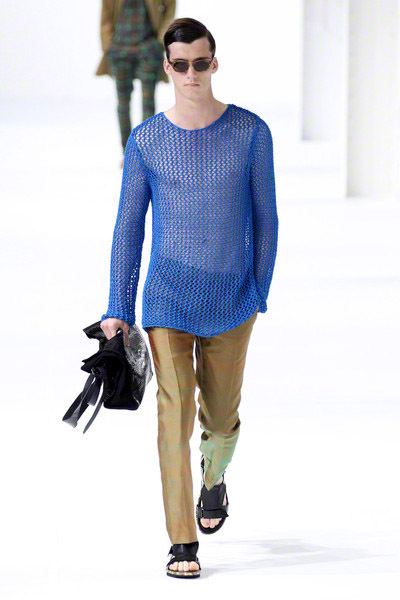 He used them to line parkas, to trim color-blocked shirts and he splashed them onto cobweb sweaters. 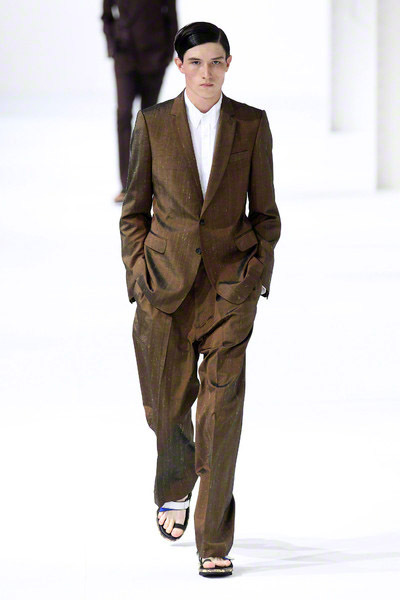 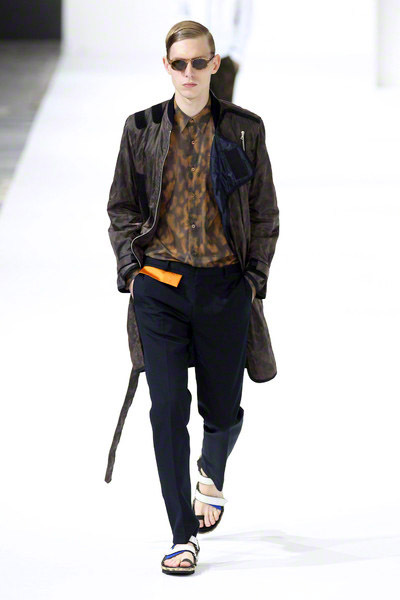 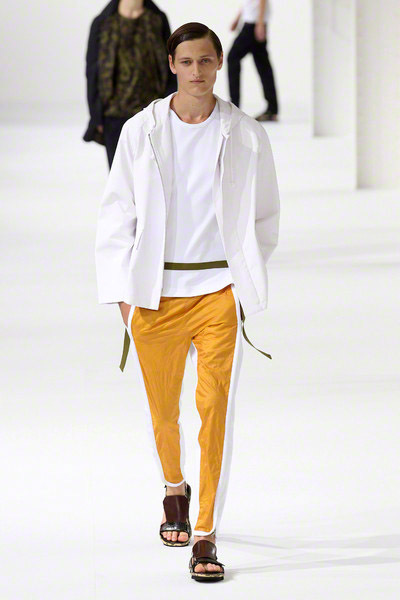 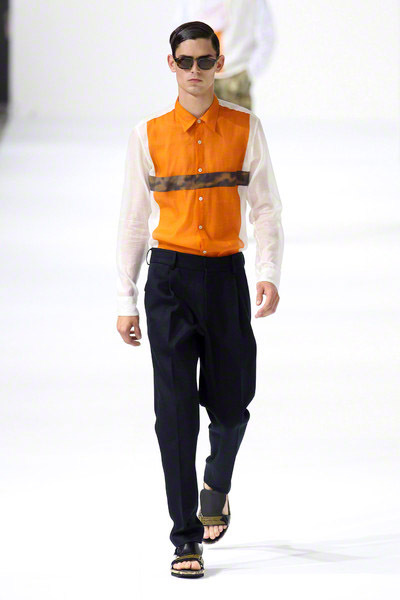 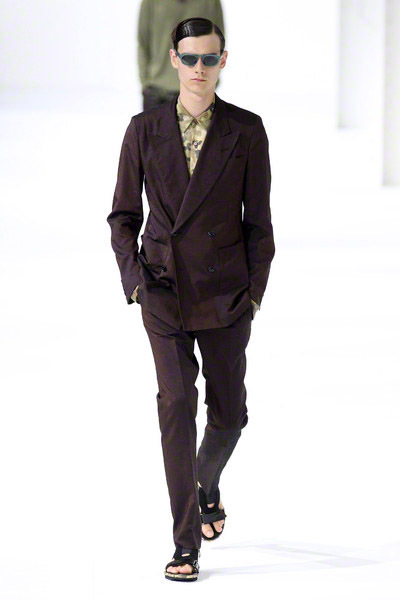 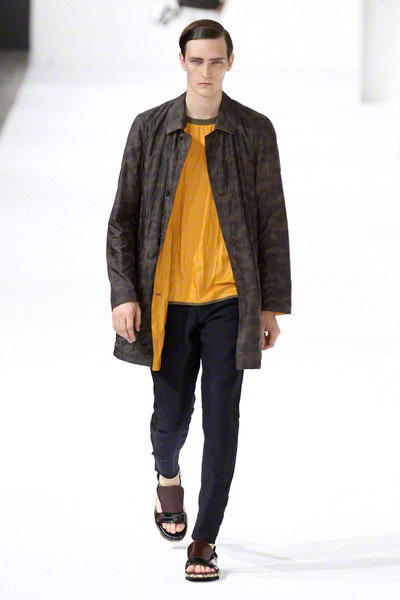 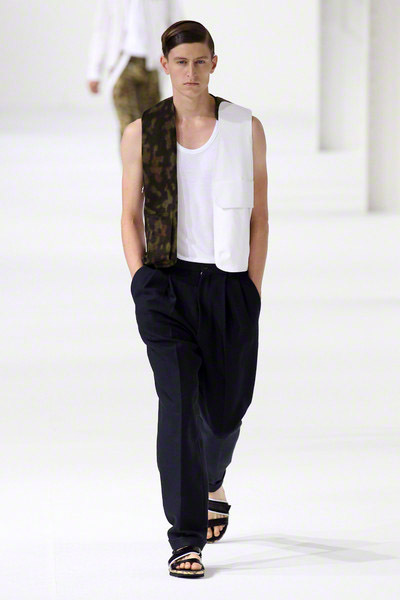 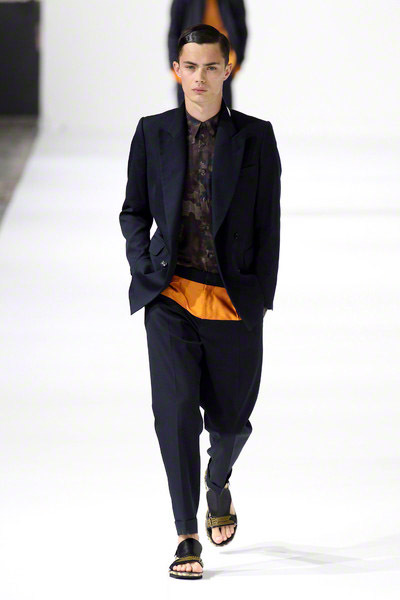 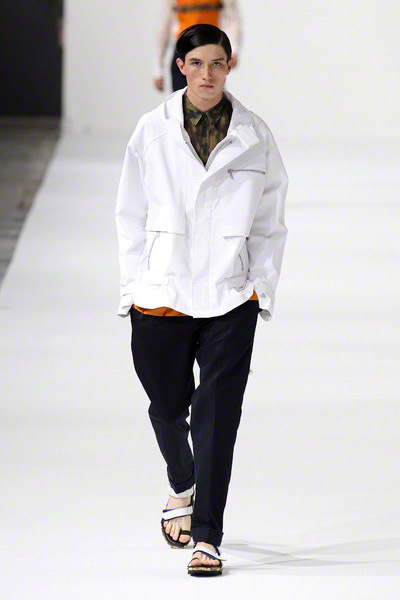 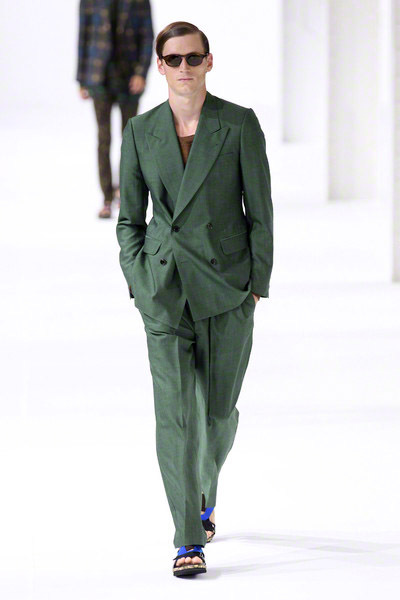 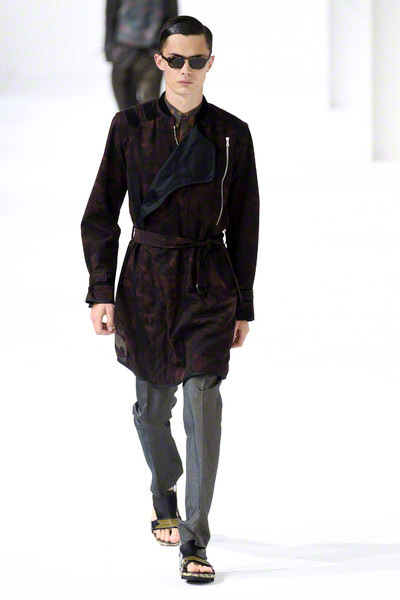 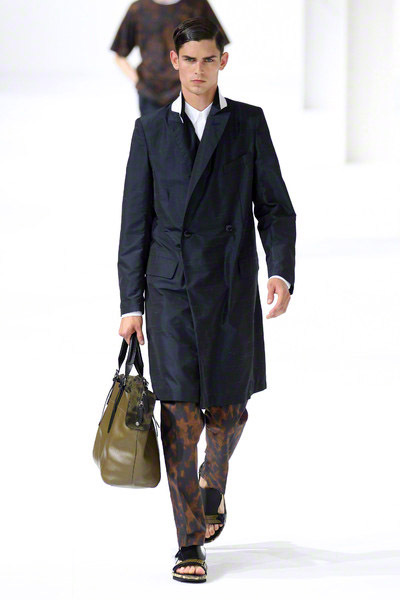 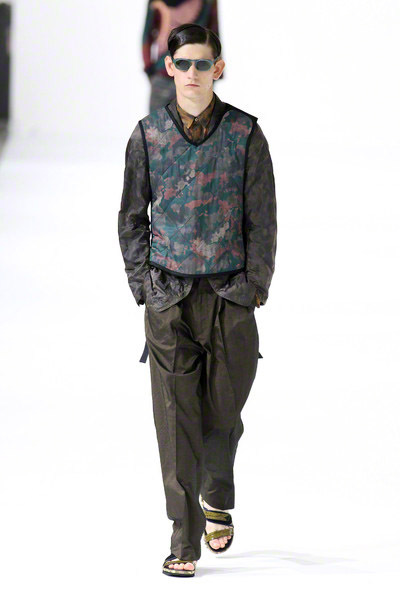 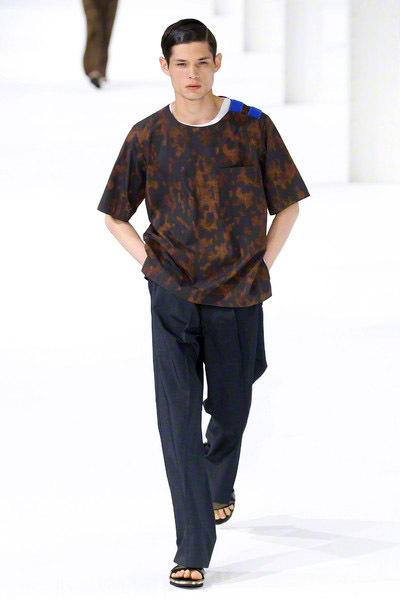 Van Noten presented many ways to mix the prints into a modern wardrobe: as a shirt under a navy suit; as a light, silken trench over tapered trousers; as printed pants or shorts under a shantung blazer in a pumpkin shade. 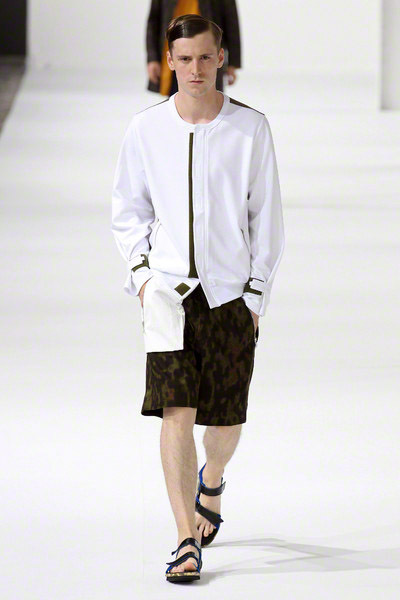 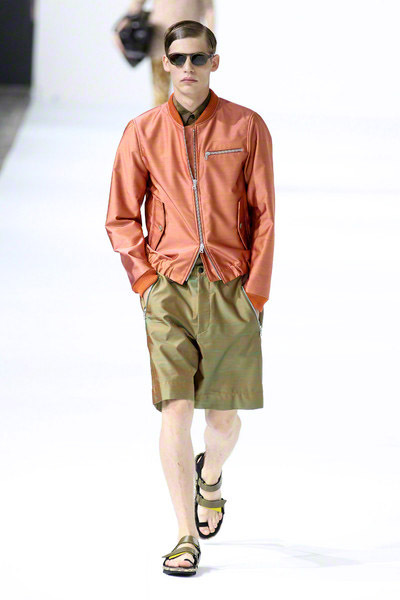 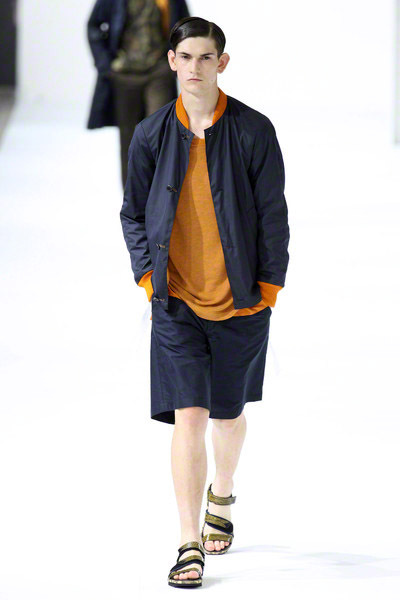 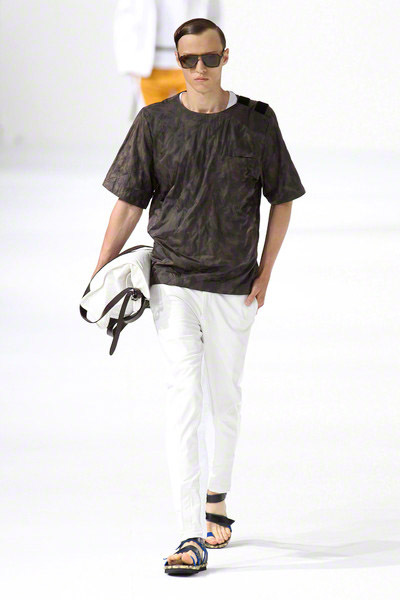 Overall, the athletic chic vibe, heightened by the rugged sport sandals that grounded every look, was masculine and appealing.